Travelers are voting Blue Mountain Peak as the best peak or summit in Jamaica. Want more? 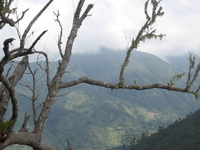 Check out our map of peaks or summits in Jamaica or this 1 peaks or summits near Kingston.